Tips from spice master Sam Smith, whose new restaurant Tusk opens today in PDX. Of the 30 or so dishes making their debut at Tusk today in Portland, Oregon, you’ll spy meat in only five of them. Instead, the brainchild of Ava Gene’s chef Josh McFadden and Tusk executive chef Sam Smith blends vibrant spices and herbs sourced from Morocco with local produce, like leafy nasturtiums and fairytale eggplants. 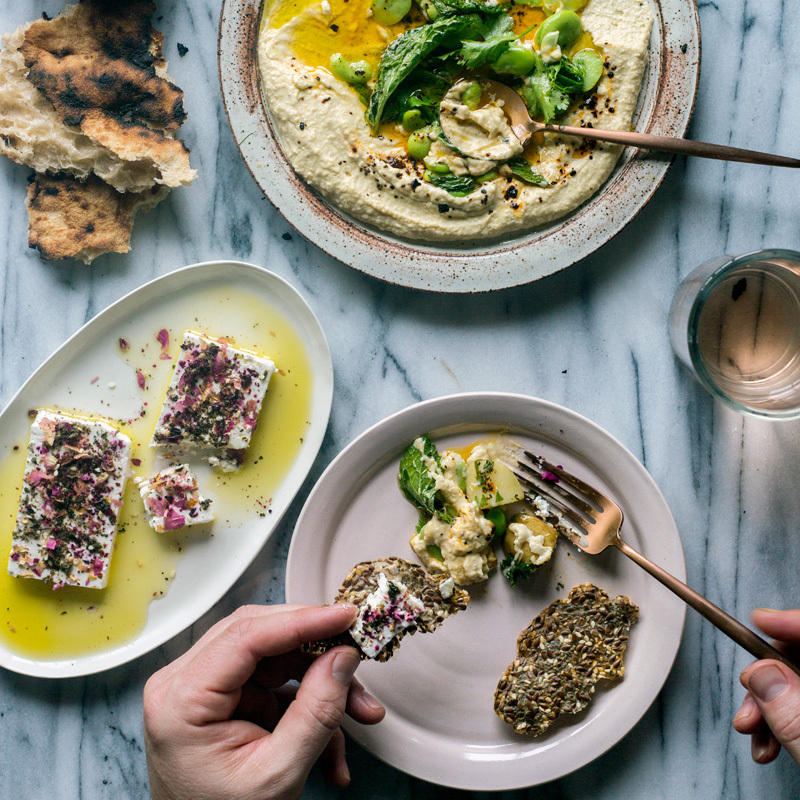 Mezze, flatbreads and skewered meats drew Smith to Michael Solomonov’s Zahav in Philadelphia, and stayed on his mind as this project started coming together while he was cooking at Ava Gene’s. 1. Ditch the supermarket for the web. “You don’t know how long they’ve sitting there,” Smith says. Instead, he goes straight to the source, reading up on the origins of where he’s getting spices from and ordering online from trusted purveyors like Villa Jerada. 2. No need to be a toast master. If you’re getting great spices, Smith warns against toasting them. “It takes away from their flavor,” he says. 3. Get your grind on. Buy spices whole and only grind as much as you immediately need. “Grinding releases oils in the spices, which will make it go bad more quickly,” Smith says. 4. Rotate out regularly. The magic range of freshness is 3 to 6 months, according to Smith. That means you should purchase spices in small quantities and frequently.